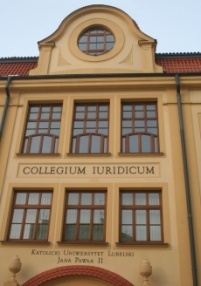 The Institute’s Faculty is composed of outstanding professors, who give lectures both at Polish and foreign universities. Their international experience guarantees the access to the knowledge on the highest world-wide level. Distinguished practitioners and theorists of law, political scientists, economists, sociologists, historians and psychologists could be found among them. Thanks to the cooperation of the institute’s personnel with various institutions, European Studies students have a opportunity of serving the apprenticeship, e.g. in The European Parliament, where they are invited by members of Parliament [see: students’ reports]. Students may also serve the apprenticeship e.g. in the Ministry of Foreign Affairs, units of government and self-government administration, The Rule of Law Institute and other non-governmental organizations. Students have also a possibility of taking part in Erasmus Programme.